There are so many more things to see and visit in Napoli, but we must say goodbye to our colleagues from CILAP, who have accompanied us sofar and move on to our next destination. ‘Vedi Napoli e poi muori’, was a sentence famously quoted by Goethe in his Italian Journey, but is most probably originated when Napoli was the capital of the two Sicilies in its golden age. Sicily, that is the place our bus is heading to, in search of new ideas to advicate the right to a decent income. 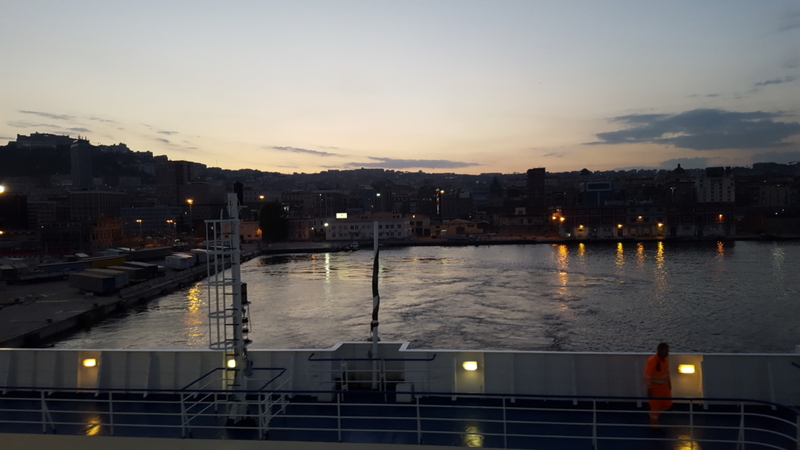 A long journey on the night ferry, and tomorrow we will wake up in Palermo.